We wanted some bread to go with our Boston Baked Beans this evening and I fancied something different but which was still quite chunky and filling. So off to the larder cupboard to see what we had. 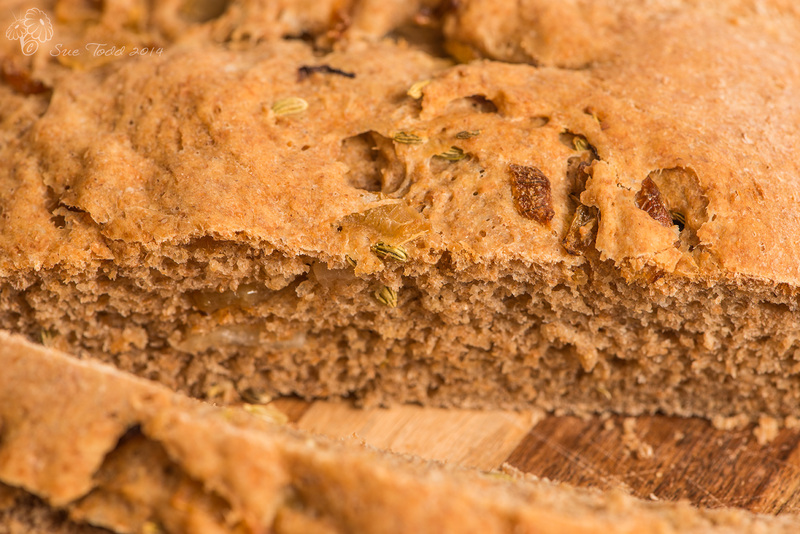 I found spelt flour and spied some fennel seeds and remembered a recipe I’d used before for caramelised onion bread. So it was a done deal! However we also needed bread for breakfast tomorrow and Gary pointed out quite rightly that fennel and onion bread might not be ideal with marmalade for breakfast tomorrow! So two loaves were needed now not one! So I made one normal amount of our Every Day Bread and divided it in two to create two different loaves. Basically all I did was take my recipe for Every Day Bread and I used 250g of wholemeal flour and 250g of spelt flour. Then just make the dough up and leave to rise for the first time. While the bread is rising peel and chop the onion finely. Add the butter to a pan and melt before caramelising the onion gently. Once its cooked and nicely golden, remove from the heat and stir in the fennel seeds. Put to one side until the bread has risen. Grease a large tray or two smaller ones. I use a cold tray from the AGA which will comfortably hold the two loaves. When the bread has risen, tip the dough out on to a floured board and cut it in half. Shape one half into a small round and put on a greased tray. With the other half, flatten it out slightly, tip on to it the onion and fennel seeds and knead them in gently. Shape into a round and put on the greased baking tray. Leave to rise a second time before putting in the oven to bake. It should take about 20 minutes in total. 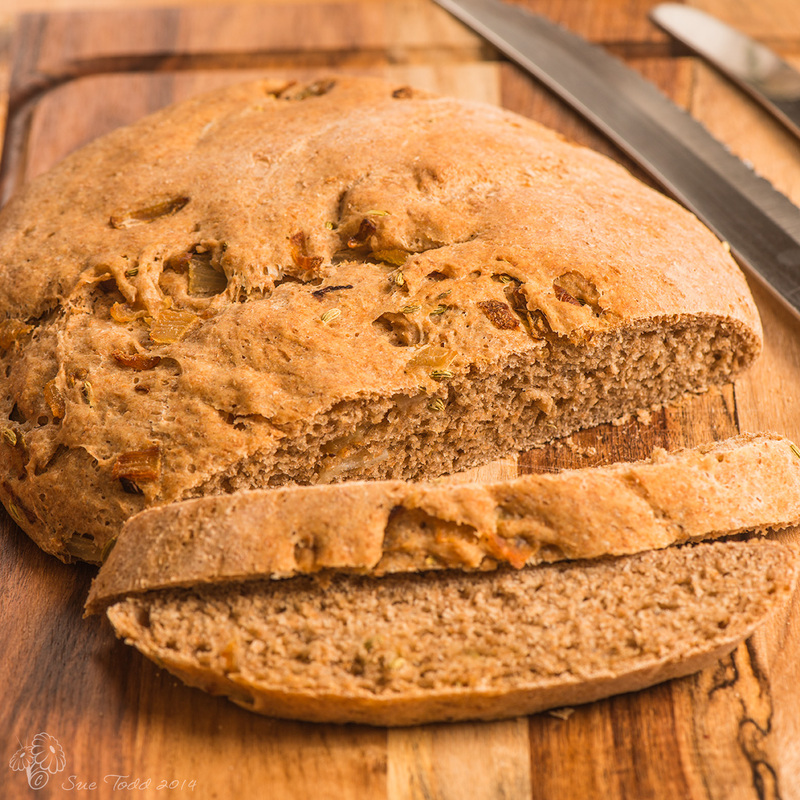 NB: If you want to just make Fennel and Onion bread use a whole onion and 2 tsp of fennel seeds (or 1tsp if you are not sure about the fennel flavour). 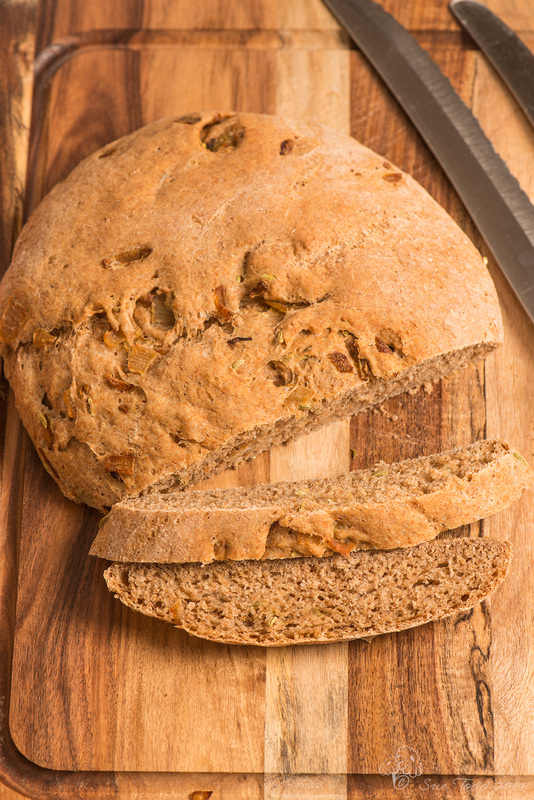 This entry was posted in Breads, Recipes and tagged Bread, Fennel, Spelt on October 4, 2014 by Sue Todd.